The weekend just gone was a long one, as yesterday was a bank holiday. I was busy over the weekend, but yesterday me and my partner took advantage of having an extra day off. 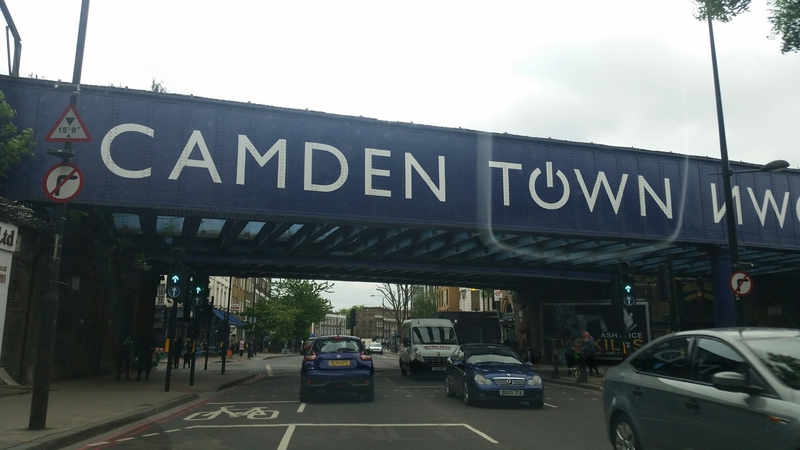 We jumped in the car and drove to Camden in North London. 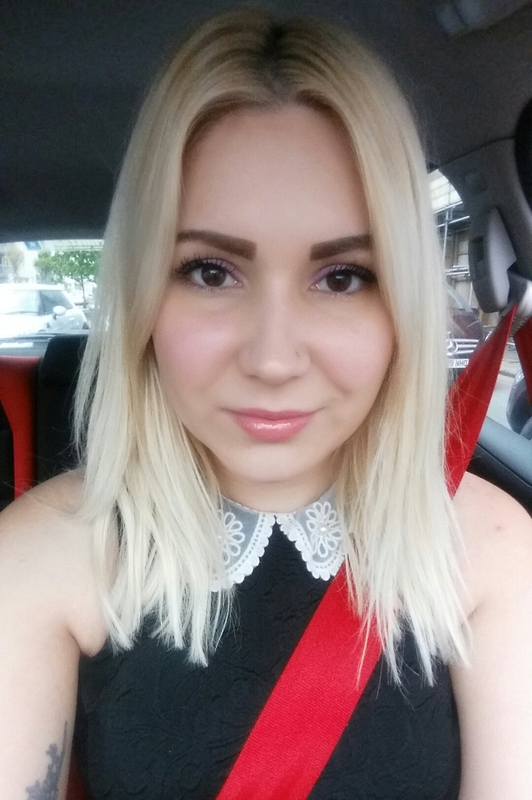 As London’s usually a nightmare to drive through, we take the train, but going by car was surprisingly easy. 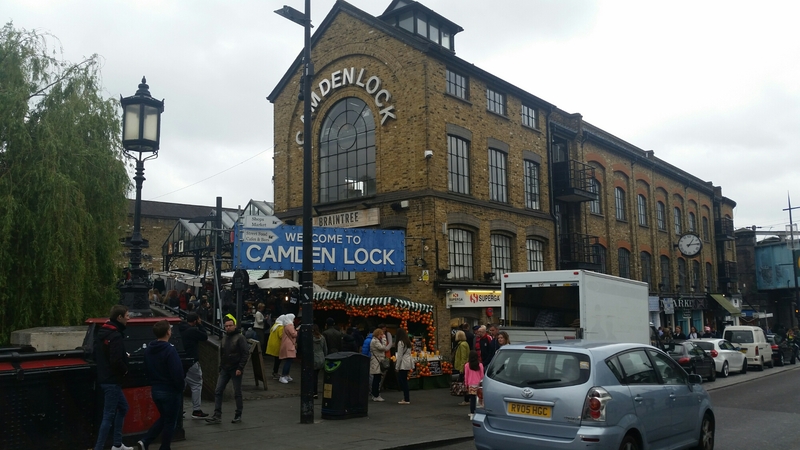 Camden for those who don’t know, is full of shops and markets that are a bit quirky, vintage and the whole area has an alternative feel. 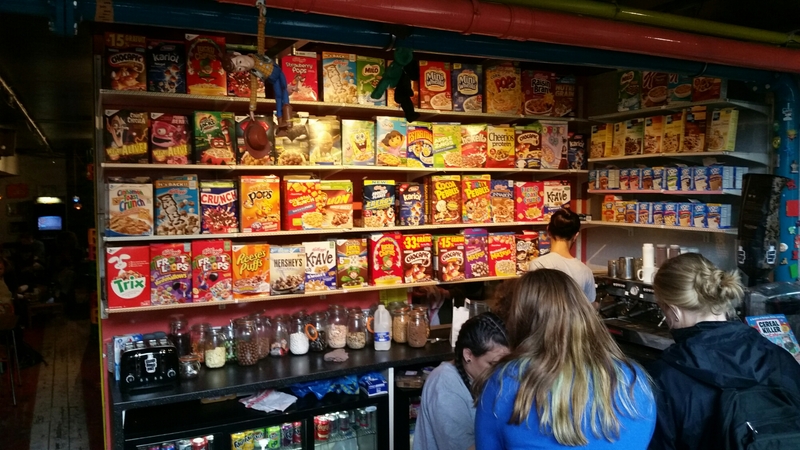 It’s become a bit more mainstream than it was in the past, but it’s a fun place to eat and explore. 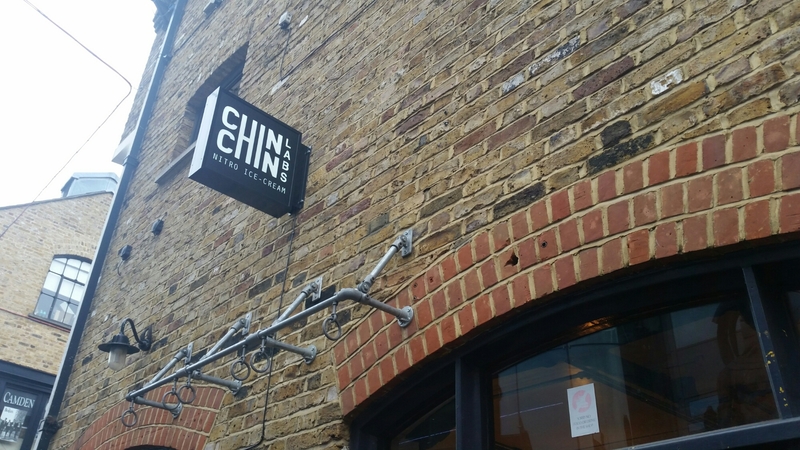 Our first stop was at Chin Chin Labs. 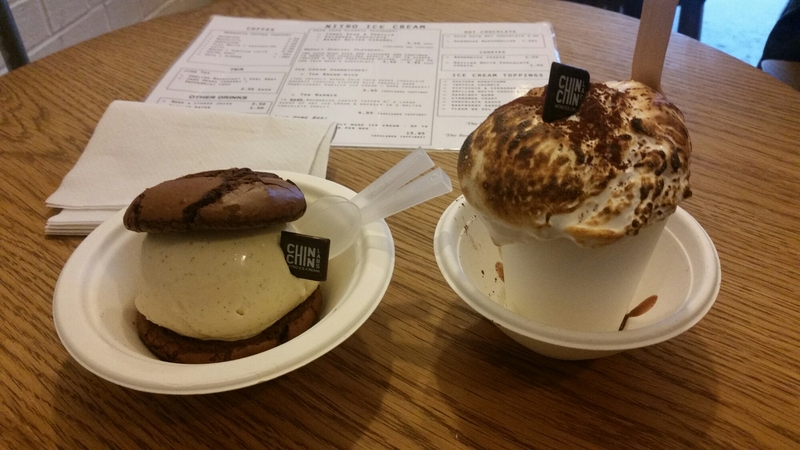 Chin Chin is Europe’s first liquid nitrogen ice cream parlour and it means it’s healthier, fresher and the food is created rather scientifically in a cloud of steam and smoke. 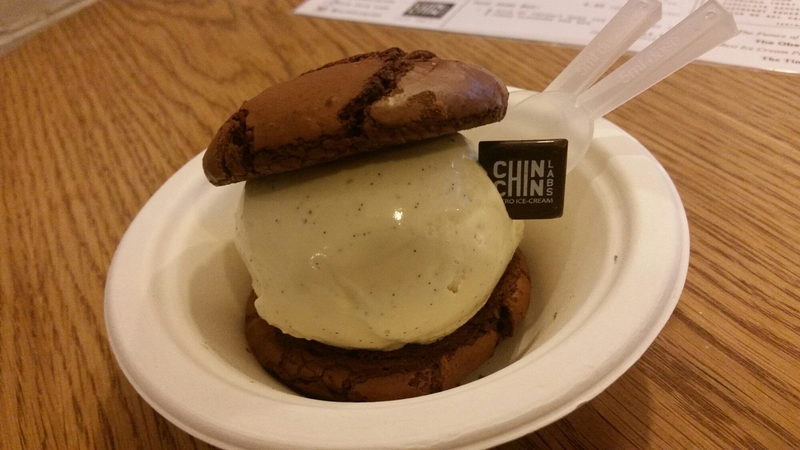 We ordered The Brown-wich to share, which is two freshly baked chocolate cookies filled with Pondicherry Vanilla Ice Cream. 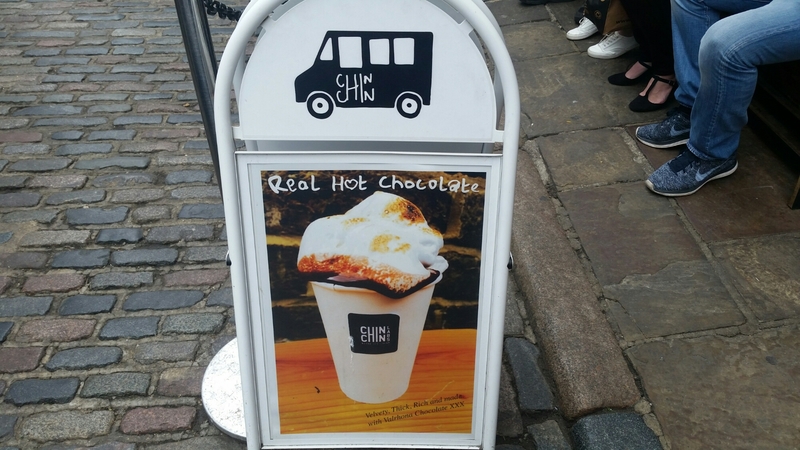 We also got the amazing Chin Chin Hot Chocolate with Handmade Marshmallow. 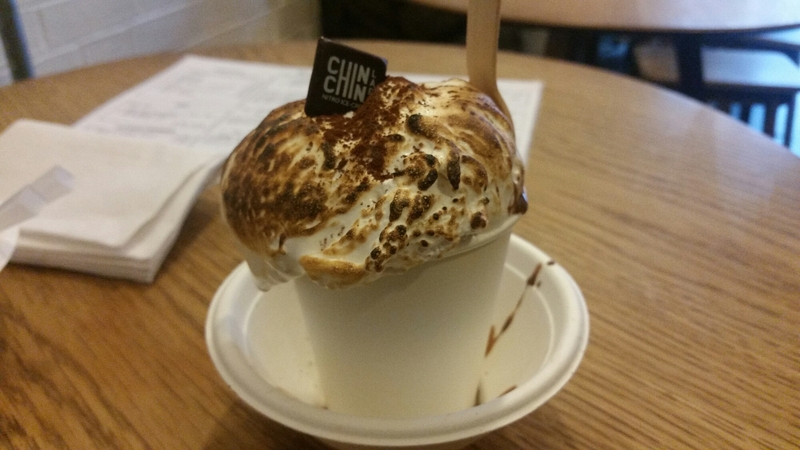 It had the biggest amount of gooey, vegetarian friendly marshmallow on top, which is blow torched for a crispy finish. Bellies full we decided to hit the main street, which has a rather touristy market selling t-shirts, some commercial stores like Mac and a few more gothic and unique places to shop. 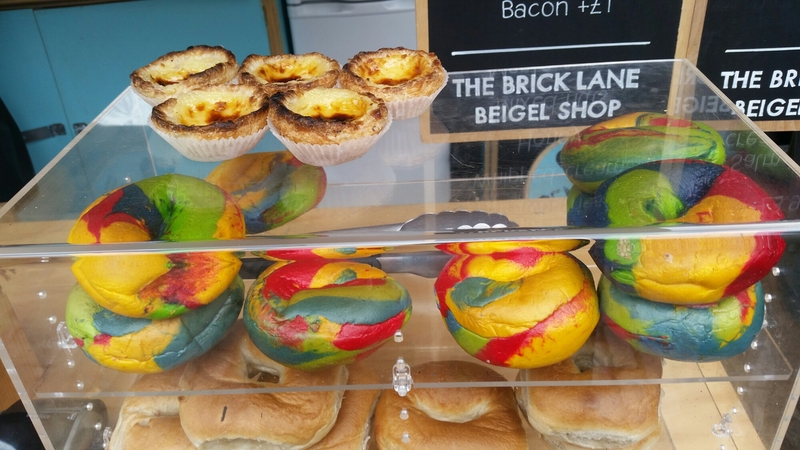 We didn’t spend long on the high street, as we wanted to visit the markets. 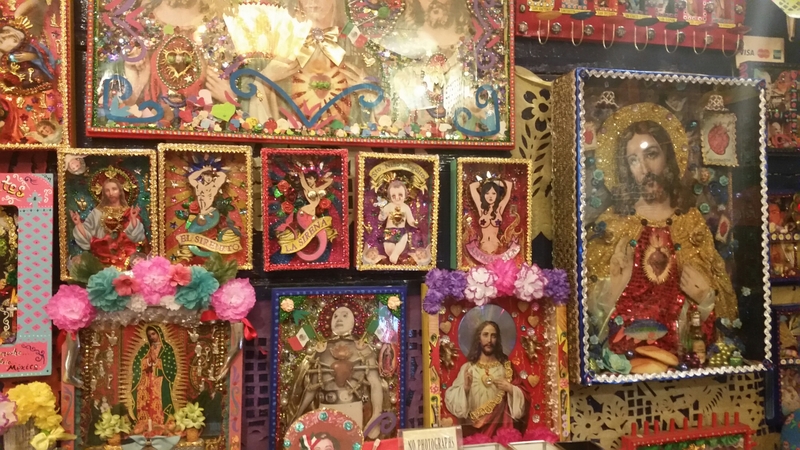 We headed to a very tightly packed one, selling every type of food imaginable. 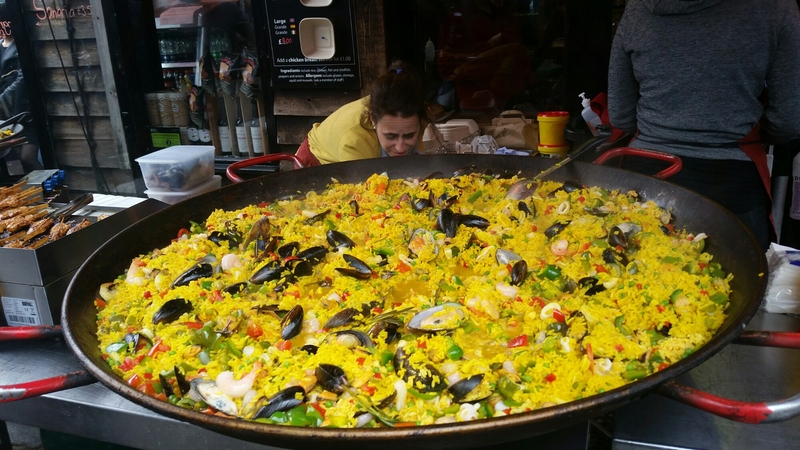 It was hard to take photos as I had to squeeze through people, but I did get a photo of this super sized paella that was being cooked. 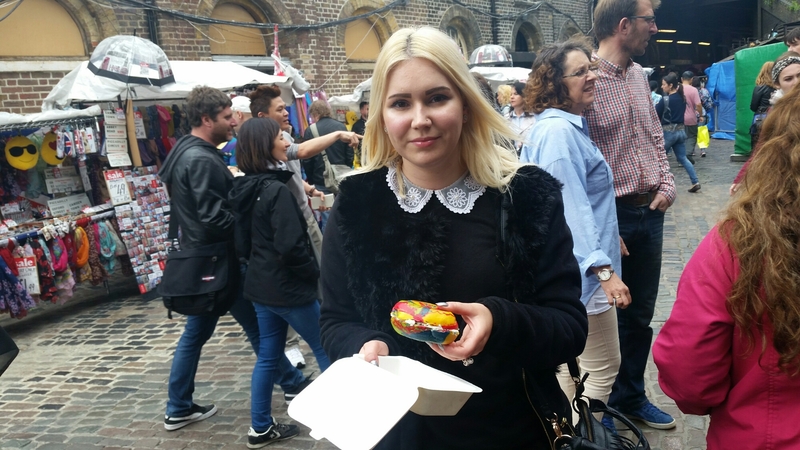 We tried free samples of falafel and other goods, before heading to the biggest market at the back. 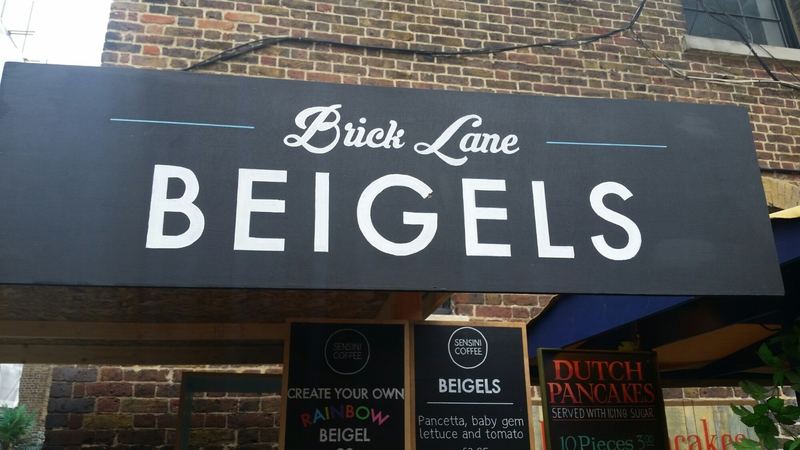 This market sells an assortment of items, from clothes to jewellery to tonnes more food. 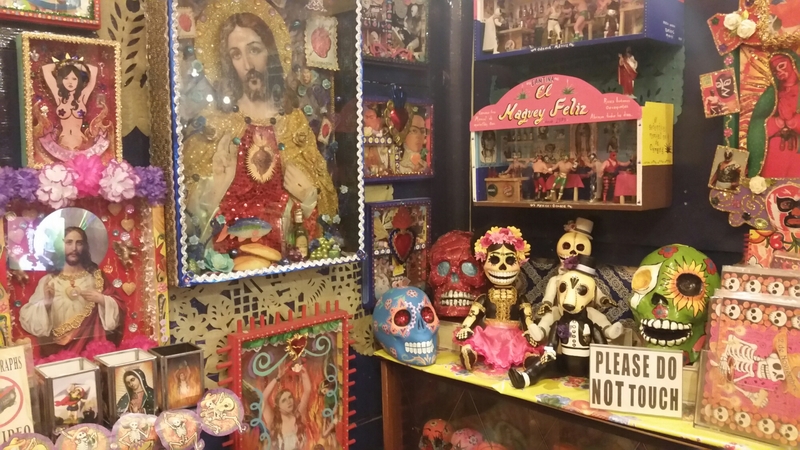 We visited a unique and very garishly coloured Mexican themed shop. 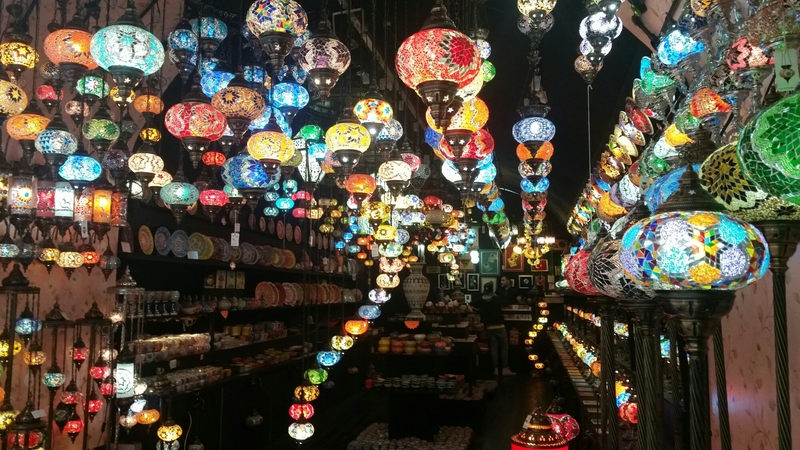 A pretty shop selling Moroccan style laterns. 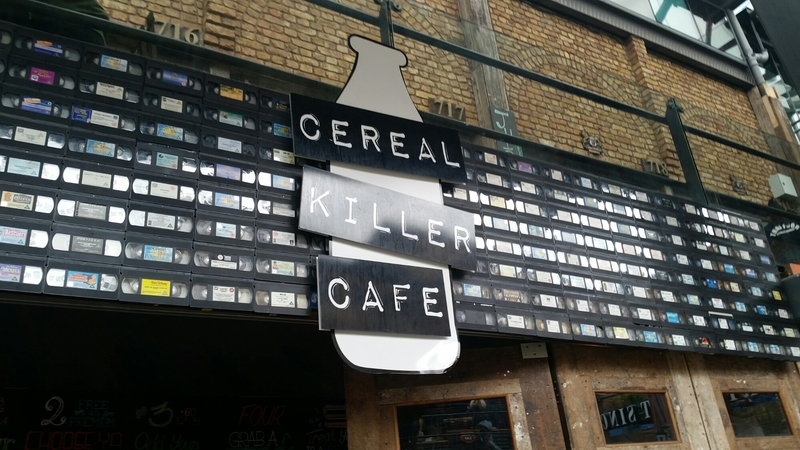 And we passed the Cereal Killer Cafe, where you can eat any type of cereal you like, all day long. 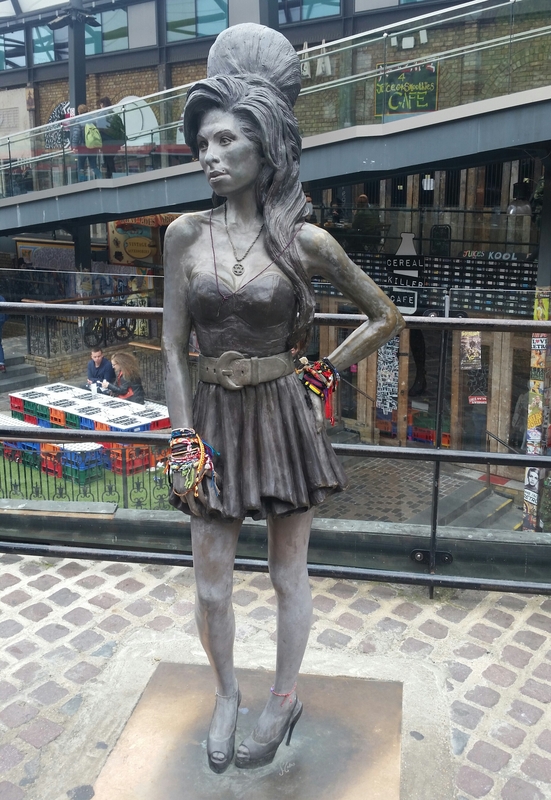 I posed with the ever popular statue of Amy Winehouse, which has colourful bracelets tied to her wrists from fans of the singer. 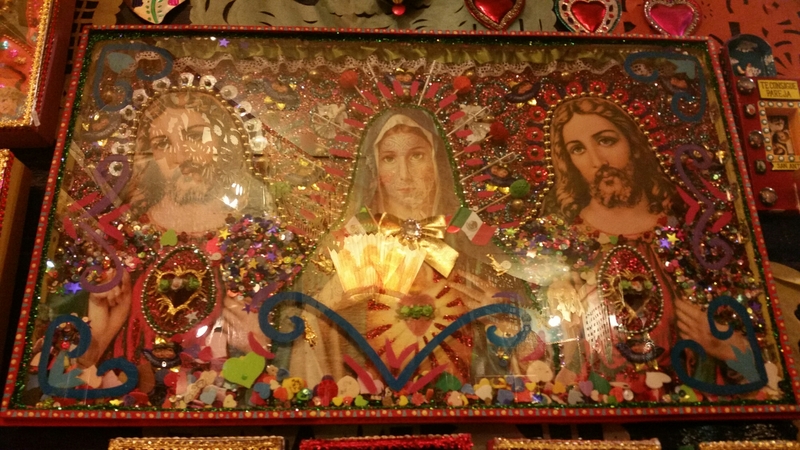 We looked at leather notepads, crafted jewellery and pretty vintage dresses, before stopping for more food! 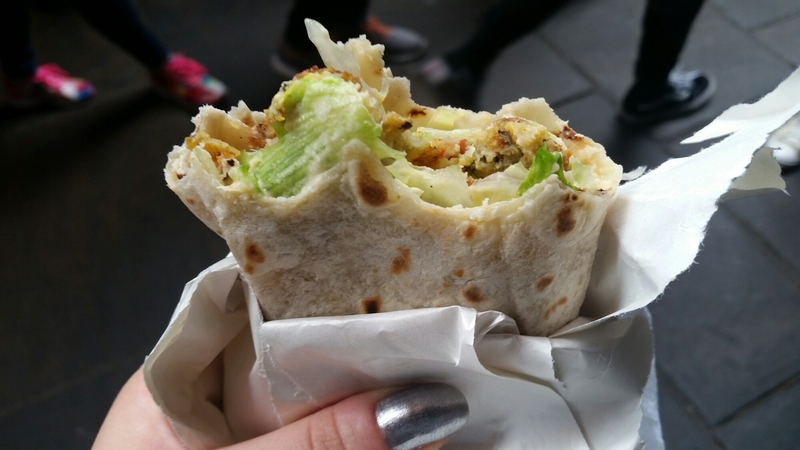 We had a falafel, hummus and salad wrap, which was tasty and filling. 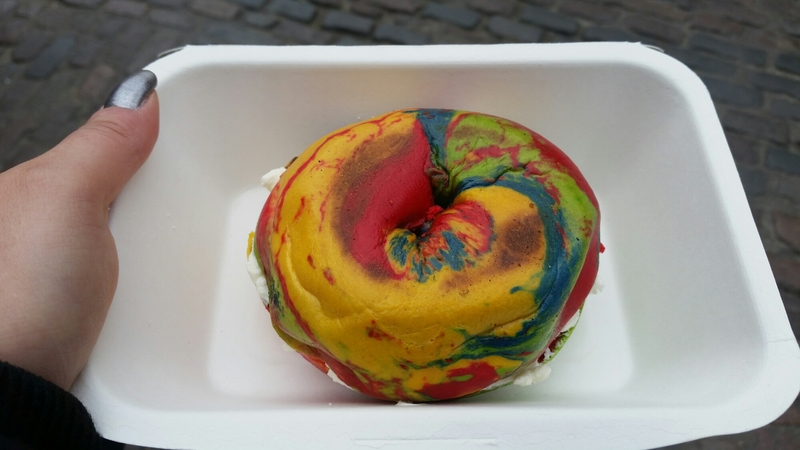 We also tried a rainbow bagel, which is a savoury bagel with a hint of sweetness and of course it’s rainbow coloured. Feeling satisfied from the food and having seen all the shops and markets had to offer, we headed home. 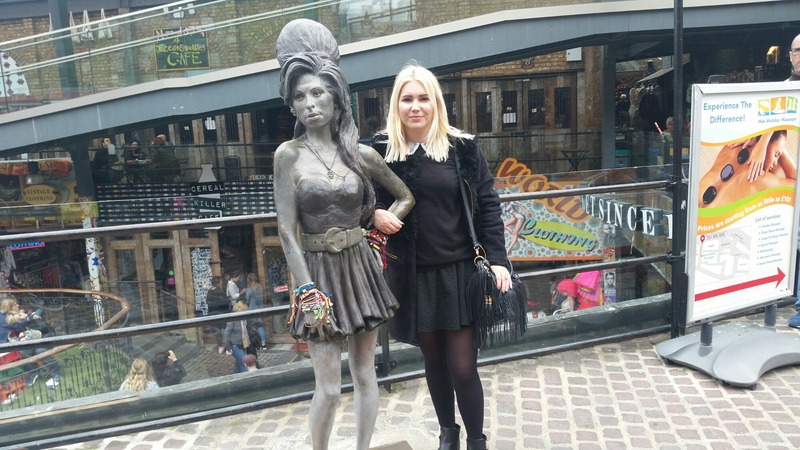 Pleased to have had a free day to spend in Camden. Can’t wait to check this place out! 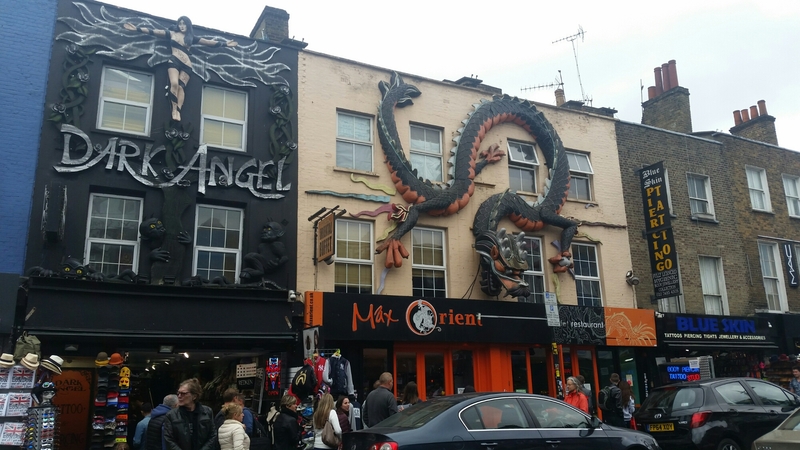 Its high on my list of things to see and do when I’m next in town! The hot chocolate looks especially yummy! really happening place! 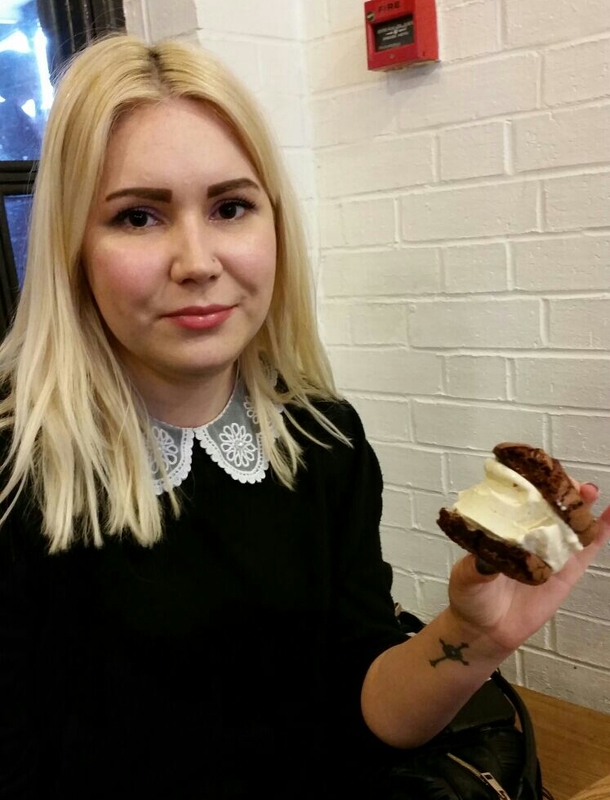 i am so craving that ice cream and cookie sandwich now, it looks humongous in your hand, i am thinking i would need a couple of hours to see everything here. Thanks for sharing your super day with us. you must have gone to sleep on candy floss clouds after a day like that. 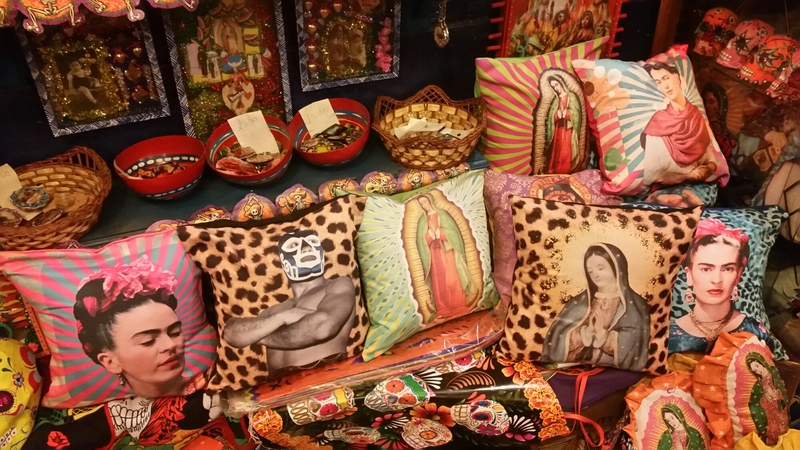 really nice to see the variety of stuff they have on sale and display, i really love these type of markets. are the markets open year round and everyday? Omg all that food look yummy. That looks like a fun place to relax and have fun when you want a mellow weekend. woww ! 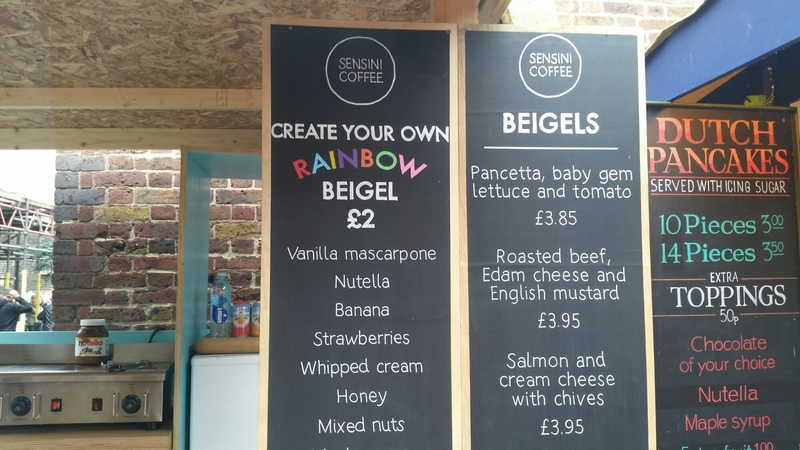 such a lovely post my fav is the icecream sandwich ! 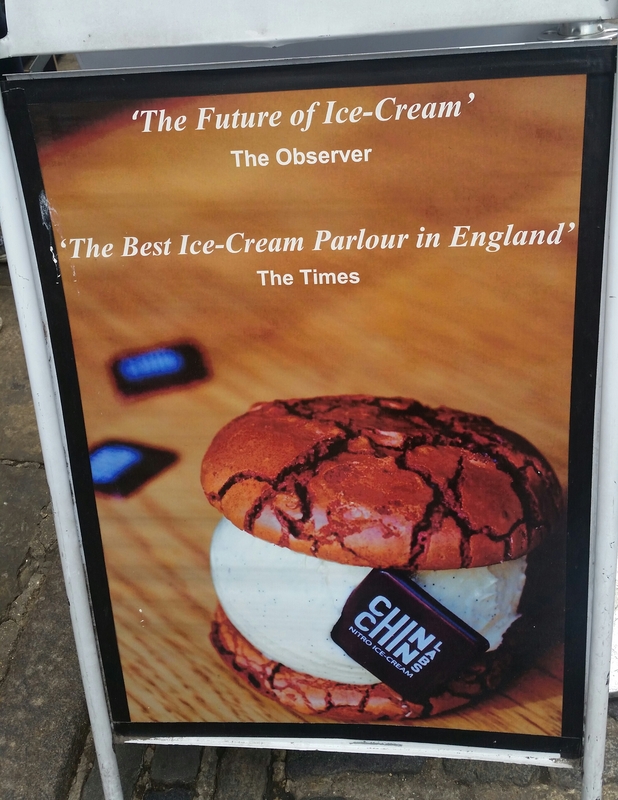 Omg I must have one of those ice cream sandwiches! Looks amazing! Oh my God! All those food pictures are making my mouth water especially the ice cream sandwich. Yum! Looks like you had an awesome day!